We will need lots of assistance to run this meet. This is a home meet that we host. It is scheduled for 5/27 at Madison Memorial's Mansfield Stadium. Please let us know if you can help time the athletes, rake the pits, concessions, or help with other field events. Check back shortly after the meet for a meet summary, results, and photos for those athletes advancing to the WIAA State Championship Meet. 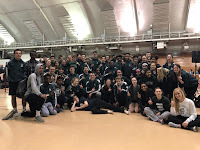 4:00 Boys Triple Jump, Girls Long Jump, Boys Discus, Girls Shot Put*, Boys and Girls Pole Vault, Boys and Girls High Jump (all to completion). * Wheelchair Shot Put competes with appropriate gender.